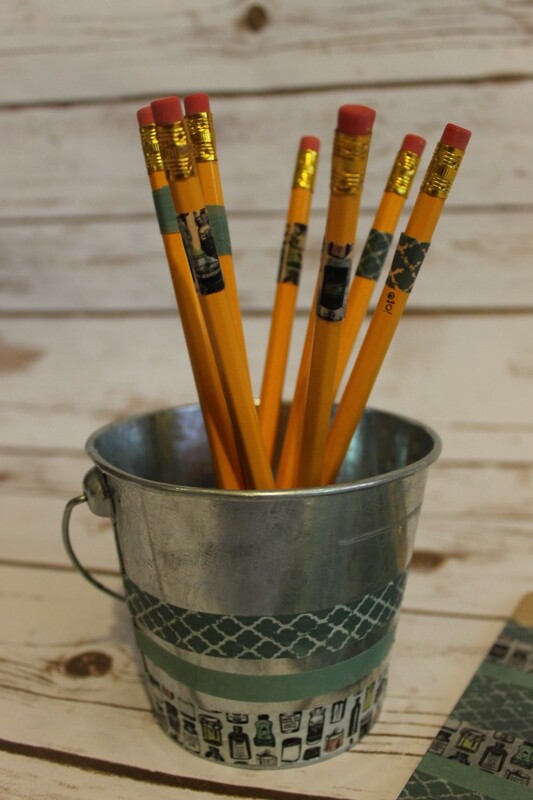 Washi Tape School Supplies, Great Back to School Teacher Gift Idea! 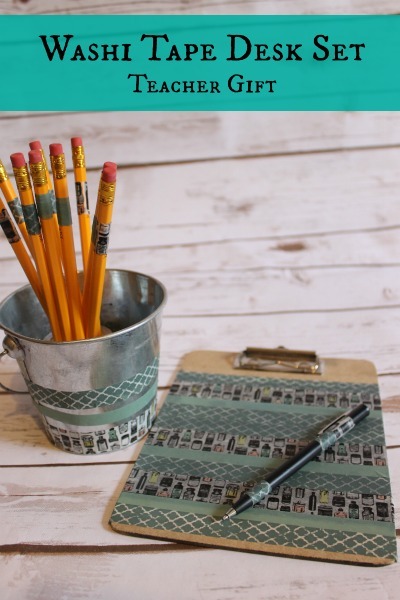 These fun Washi taped school and office supplies make an adorable Teacher gift for back to school. Inexpensive items paired with a pretty role of Washi tape or two go from boring to beautiful coordinated desk set in just a few minutes. They also make a nice custom accent for your home office. A nice pen for teacher and coordinating pencils to lend to students who leave theirs at home can get a new year started off on just the right foot. Since I was able to pick everything else up at Dollar Tree I sprung for a nicer pen for the teacher so it would last longer. Be sure to follow me on Pinterest for more fun crafts and recipes! 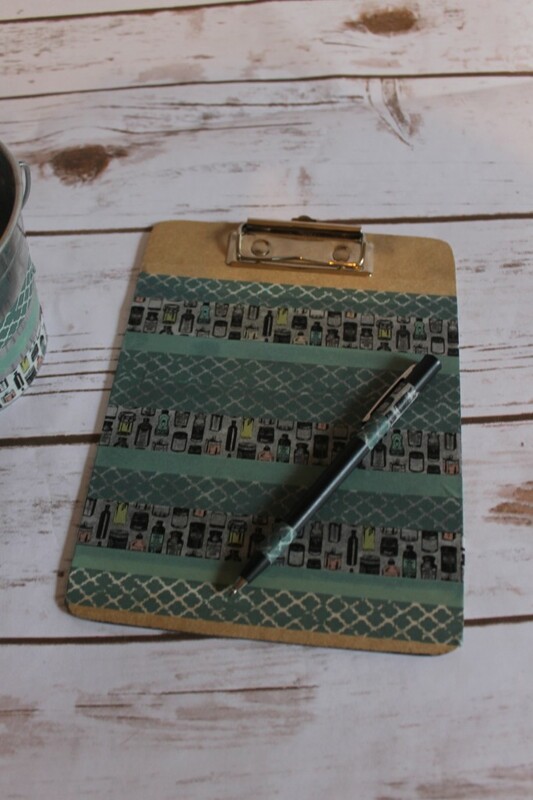 To create this cute and functional clipboard begin wrapping with Washi tape 2″ from the bottom, centering the end of the tape on the back with a slight overlap to disguise your seam. Continue all the way up alternating patterns and solids for contrast. If your pen has a clip lift slightly, slide tape under and wrap around a few times, add a row or two to the bottom to finish it off. 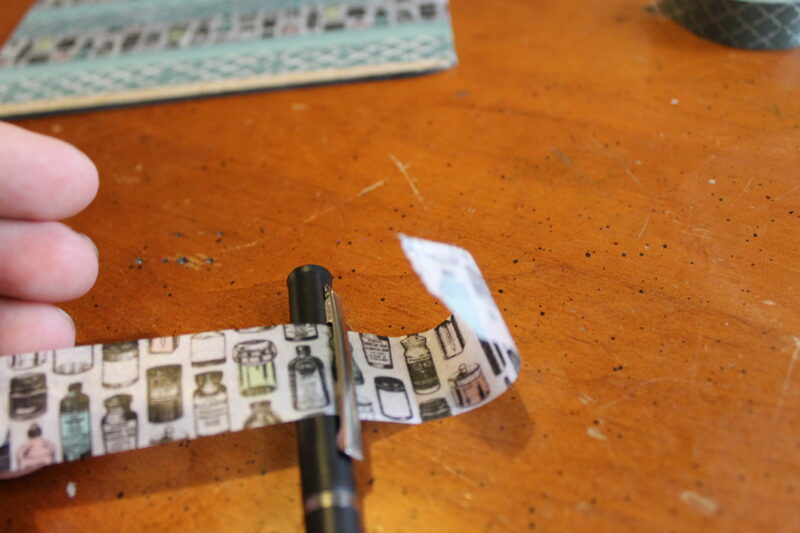 Add paper tape a couple layers thick to make a set for teacher to loan out to students. Wrap your can or bucket in tape as well. Coordinating supplies make a really thoughtful teacher gift that they can actually use!